Papaya Fruit Extract: Frizz control, smoothing and humidity protection. Passion Flower Extract: provides frizz control, smoothing, humidity protection. Cacao Seed Extract: Enriched with antioxidants, vitamin c, omega-6 fatty acids and magnesium. Provides conditioning while adding vibrancy and shine. Spray evenly 8-12 inches away from head onto dry, styled hair. 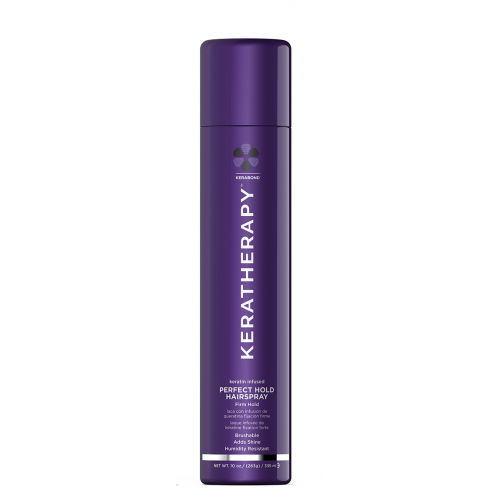 For added volume, tilt styled hair away from head and spray from roots to mid-lengths while lifting hair. Repeat as needed for stronger hold.